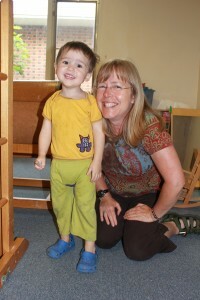 Barbara has been teaching at BAPP since 2002, supporting the children & parents in our co-op class. She also works with the preschool and Transition class as our music teacher and naturalist. With degrees in music and education, she offers instruction in flute after school. In her free time, she enjoys hiking, biking, traveling, and gardening.